The Smiling Stars Playschool aims to provide outstanding early years of education through playway and montessori methodology. We believe that children should feel excited about learning and have a positive firsthand experience of life at Pre School through inspirational experiences. We focus on child’s individual needs and talents by providing an accepting and caring environment. This will fill your child with confidence and excitement about going to ‘Big School’. Early childhood education via joyful and safe learning environment. Our developmentally appropriate curriculum will promote child’s growth socially, emotionally, physically, cognitively, and spiritually which leads towards the formal education. 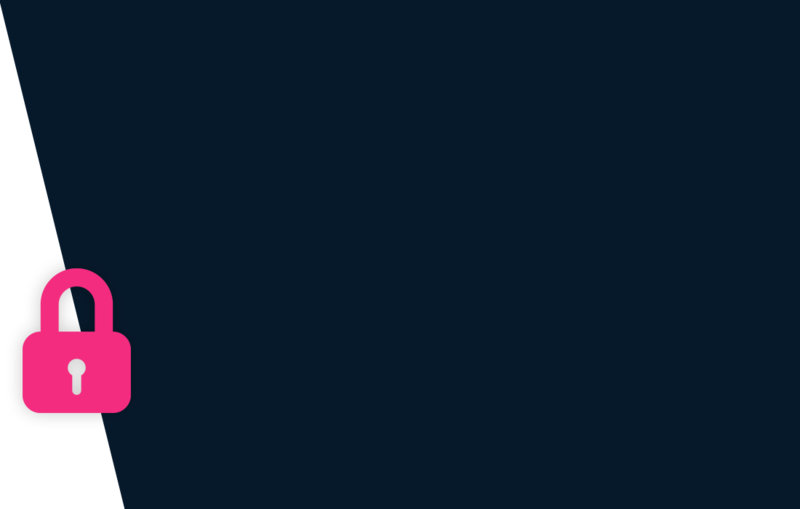 To provide worldclass early childhood education and care to children. 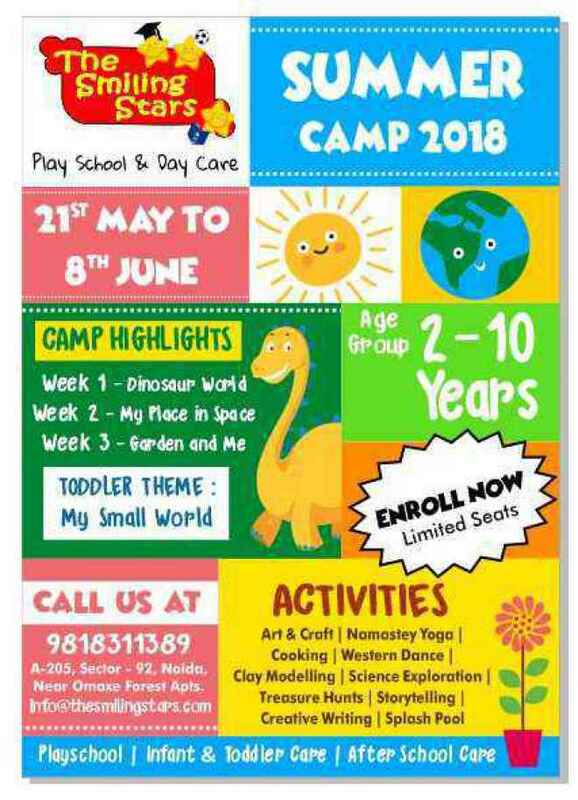 A detailed fee structure & complete breakup for The Smiling Stars Play School & Day Care, Sector 92 is provided below for reference. The objective of the fees details below is to provide an economic reference point for parents to understand approximate expense for this preschool and evaluate affordability based on their current circumstances and for the long term. For parents admitting their children in admission session 2018-19 at The school the total preschool fees for the first year including all admission related charges for KG but excluding transport fees shall be around Rs.72,500. This includes total One-Time Admission related Charges of Rs.4,500. For parents continuing in the school from previous years, the effective annual fees is around Rs.68,000 i.e. approx. Rs.5,666 per month or Rs.17,000 per quarter without transport fees. 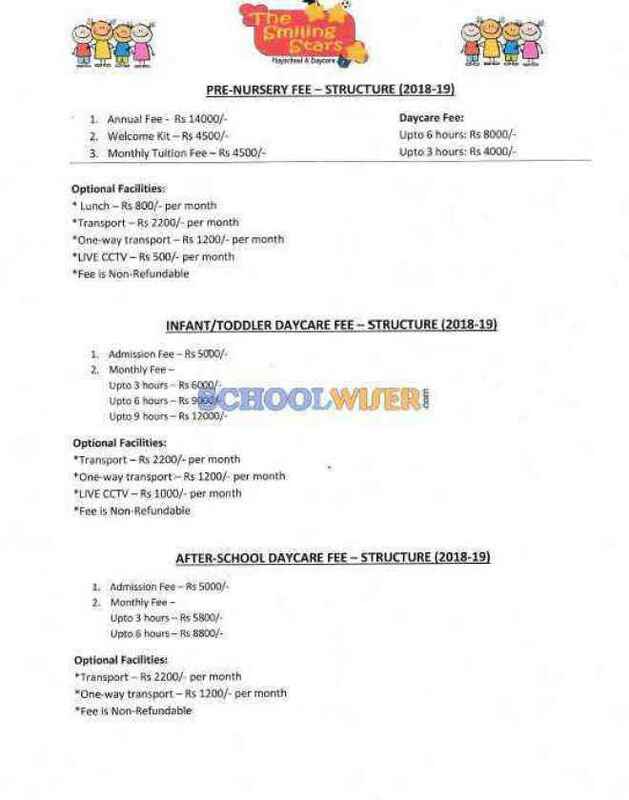 The mean average annual fees (without admission & transport fees) of all preschool in Noida whose fee details are available on SchoolWiser is Rs.79,288.